Posted on January 29, 2019 by Emily Allbon. The Worshipful Company of Arbitrators sounds a very grand institution, conjuring up images of strange medieval costumes and mysterious archaic ceremonies. But like other City livery companies, behind the ribbons and the gongs, lies a thoroughly modern institution, full of current practitioners who are passionate about their work. The company generously organises an annual competition, switching between mediation and arbitration each year, which encourages students, pupils and trainees to find out more about alternative dispute resolution. This year it was arbitration, and I was delighted to be on the City Law School team, along with BPTC student, Daryl French. The competition took place over a whole weekend, in the typically plush offices of Bryan Cave Leighton Paisner on London Bridge. Some fourteen teams competed, each assigned different tasks. In a competition context, some of the assignments are necessarily a bit contrived: if the tribunal were to find that there was no jurisdiction on the Friday night, for example, there would be no competition on the Saturday and Sunday! Systematically going through each task, however, from arguments over jurisdiction to arguments over admissibility of evidence to cross-examination of witnesses and concluding submissions, the weekend was a unique chance to see a whole arbitration process from start to finish. Our mock arbitration this year concerned a contractual dispute regarding the manufacture of plastic for the interior of aircraft in the fictional Middle Eastern country of South Yeravani. Arguing about who owed what and to whom, much of the time was spent scrutinising the minutes of a meeting held in Houston, where there was some disagreement as to the precise contractual terms. It quickly transpired that much of this confusion was due to the meeting being held simultaneously in Arabic, English and French, highlighting for us all the truly international character of many of these disputes. Daryl and I divided our assignments between us. I was tasked with challenging the independence of the respondent’s expert witness who, according to the facts we were given, had close working and social ties with the respondent and whose holistic approach to gathering data was not independently verifiable. Daryl’s task was to cross-examine another of the respondent’s witnesses, comparing the words of the witness statement to the words of the minutes of the Houston meeting, and, with sharp clarity, managing to distinguish between what was explicitly agreed and what was not. We were delighted to be awarded the Master’s Award for best law school at the end of the competition. 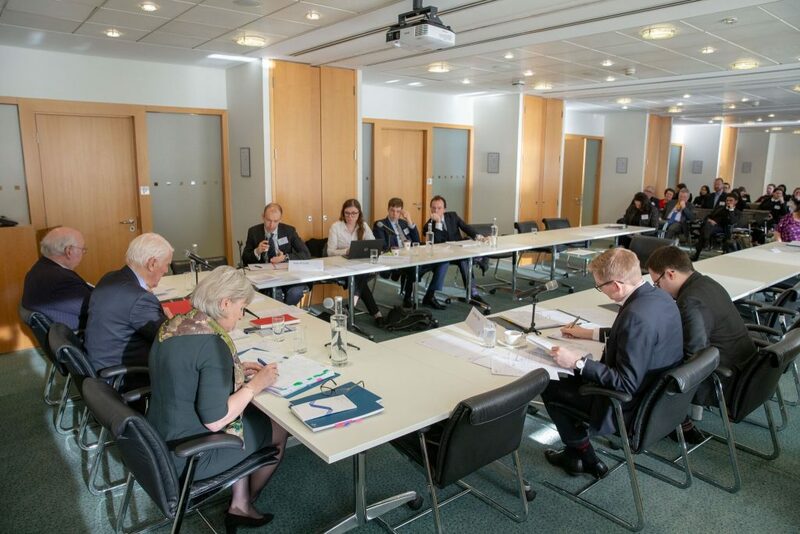 It was also particularly useful to receive feedback from the tribunal panel that will help us improve our advocacy skills more generally, beyond an arbitration context. My sincere thanks must go to Emily Allbon for inviting Daryl French and myself to take part in the competition. 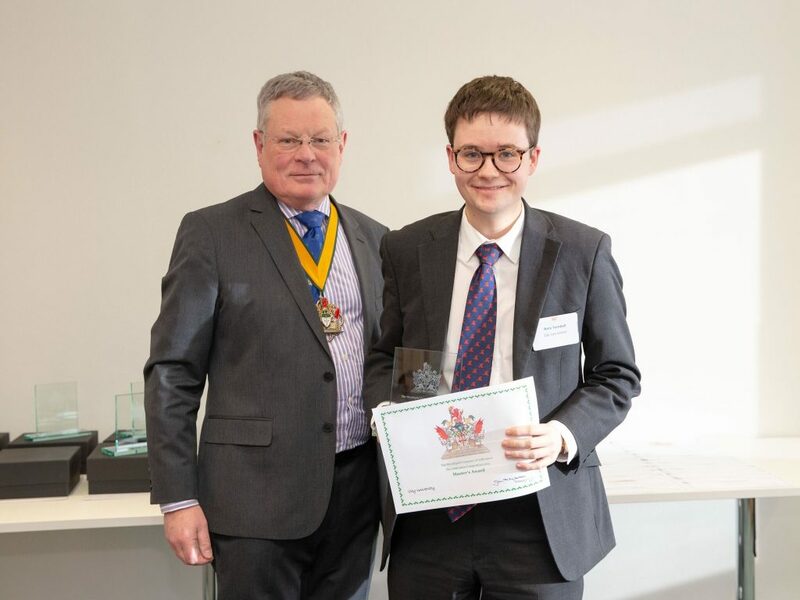 I would also like to thank the organising team at the company, and the members of the tribunal panel, for giving the opportunity, even to mere GDL students like me, to compete against trainee solicitors and pupils at some of the most prestigious sets. As well as allowing us to meet and receive feedback from current practitioners, the whole weekend gave us all a valuable insight into the rigorous, international and not at all archaic world of international commercial arbitration. Many thanks to Rory for putting together this useful review of the competition, and a massive congratulations to both him and Daryl, who stepped in at the last minute and so had limited time to prepare beforehand. Rory Turnbull is a GDL student at City Law School. Before starting his legal studies, he read undergraduate and postgraduate degrees in Theology at Oxford, and hopes to pursue a career in public law.